It won't be long before sports betting kicks off at four upstate casinos. It shouldn't be much longer (maybe a few years) before gambling expansion in New York includes the use of mobile devices. 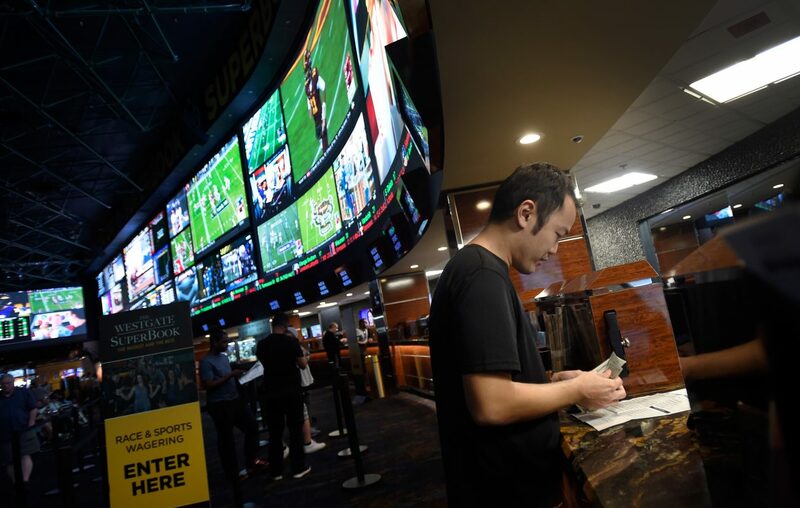 Business is booming in many states where sports betting has been introduced, especially in New Jersey. And it's an interesting time to be a sports executive as the dawn of the gambling era is upon us. Last NFL preseason, a relatively meaningless Giants and Browns game made history: fans in MetLife Stadium had the ability to bet on the game they were at using their mobile phones. How soon could we see that at Sabres and Bills games? It's a tricky question to answer. Last week in California, Kim Pegula spoke to a crowd of approximately 500 to 600 sports executives, marketers and agents who gathered for the CAA World Congress of Sports. The News' Tim O'Shei was there. “I don’t think that we’ve been shy about saying that we are for sports gambling in New York State, and especially in-venue,” Pegula said. In mid-March, Pegula Sports and Entertainment made it clear to state officials in Albany that they want their fans to be able to engage in online sports wagering from inside the venues at NFL and NHL games. The problem is that online sports betting is facing an uphill challenge in New York. Still, it appears to be inevitable that it's going to happen in the near future, and the Pegulas are preparing. In California, Kim Pegula said as discussions continue whether to renovate New Era Field or build a new stadium, the type of technology needed to support in-stadium betting is also being considered. This includes common areas for fans to watch games from around the league. New stadium or not, there could be some cool features coming for fans interested in gambling. This Washington Post story on Ted Leonsis, owner of the Washington Capitals and Wizards, is very revealing on what the fan experience of the future can look like. NFL Draft preview... Defensive tackle loaded with talent: The seventh installment of our position-by-position NFL Draft preview looks at the extremely talented group of defensive tackles. It's a position the Bills could say is their top priority with the departure of Kyle Williams, who provided both talent and leadership. No. 2 on the list is Houston's Ed Oliver, who has been linked to the Bills and had himself an impressive pro day in late March with GM Brandon Beane and coach Sean McDermott in attendance. Potential first-round target Rashan Gary is visiting the Bills. Vic Carucci profiled Terrance Gray, the the Buffalo Bills’ director of college scouting. Jay Skurski's mailbag featured a lot of draft questions.